Today’s main news: MPOWER Financing raises $110M. Funding Circle, BBB partner on SME lending. Zopa sells batch of defaulted loans. Yirendai misses earnings estimates by .17 EPS. RateSetter aiming to be Australia’s biggest consumer loans provider. Revolut greenlighted to expand into Singapore, Japan. Today’s main analysis: Is UK headed for credit card crisis? Today’s thought-provoking articles: 37.4% of purchase borrowers received mortgage rates under 5% last week. Technologies, trends changing the credit industry. Fintech execs speak out on Europe’s employee ownership rules. Zero-fee, no-interest lending in decentralized credit networks. MPOWER Financing raises $110 million. Congratulations. 37.4% purchase borrowers received mortgage rates below 5% last week. Another interesting LendingTree study. 5 technologies, trends changing the credit industry. Cool infographic. Two of the trends are online lending and peer-to-peer lending. Intuit Consumer Group discusses LendingClub, Wealthfront partnerships. Marketplace loan performance monitor as of August 2018. From PeerIQ. Lendio still a great place to work. 4 major fintech trends in self-directed IRA industry. There’s never been a better time to find a bad credit mortgage. stREITwise launches Invest for a Cause. 2018’s top commercial property takeaways. Small banks join forces on fintech. Online lender settles with FTC. Velocity Commercial Capital goes live on EVOLV. Guaranteed Rate expands into Hawaii. BFS Capital appoints new CEO. Funding Circle, BBB partner on SME lending. Zopa sells batch of defaulted loans. Is UK headed for a credit card crisis? 74% of retail consumers are likely to revolve credit. Same as in Norway, however, Norway has fewer mass affluents likely to revolve credit. Mass affluents are more likely than retail consumers to revolve credit in France, the only European nation where that is true. Across the board, retail consumers are likely to revolve credit in Europe. This spells a golden opportunity for POS lenders like Affirm and Klarna. Britain’s creative industries break 100 billion GBP barrier. Revolut gets greenlight to expand into Japan, Singapore. Oriente anounces $105 million funding for SE Asia. Tapping into the digital economy. P2P lending transactions total Rp 13.8 trillion in first three quarters. Who’s afraid of P2P lending? Bukalapak to enter P2P lending. China: Yirendai misses earnings estimates by .17 EPS. Australia: RateSetter aims to be largest consumer loans provider. International: Zero-fee, no-interest loans in decentralized credit networks. Europe: Fintechs speak out on employee ownership rules. India: Aadhaar verification suspension to hit small fintech lenders hard. China: Senmiao Technology acquires 60% in auto financial leasing company. China: Strategic stimulus for Chinese stocks. Europe: Solactive launches Sharing Economy Index. MPOWER Financing, a fintech company providing educational loans to high-potential international and DACA students, has completed its largest funding round to-date with USD110 million in new financing for students enrolling in major US universities. For 30-year fixed-rate mortgages, 37.4% of purchase borrowers received offers under 5%, up from 29.4% the prior week. A year ago, 98.1% of purchase offers were under 5%. Across all 30-year fixed-rate mortgage purchase applications on LendingTree, the most common interest rate was 4.875%, offered to 21.3% of borrowers. 27.9% of 30-year fixed-rate mortgage refinance borrowers received offers under 5%, up from 20.1% the prior week. A year ago, 98.1% of refinance offers were under 5%. Across all 30-year fixed-rate mortgage refinance applications, the most common interest rate was 5.00%, offered to 22.3% of borrowers. New tools and advancements in the credit industry are transforming the way consumers borrow cash. Before, loan options were limited to government entities (Pag-IBIG and SSS), banks, credit cards, cash advance from credit cards, and loan sharks. These financial institutions (apart from loan sharks) are heavily regulated, but with a roster of new methods offered today, loaning has become more accessible and borrower-friendly. Intuit Consumer Group’s Varun Krishna gives some background on the company’s latest partnerships with Lending club and Wealthfront. This interview is part of a video series, “The Future of Fintech,” produced by Mobile Payments Today and powered by Galileo Processing. Our MPL Loan Performance Monitor tracks the delinquency rates, cumulative losses, cumulative prepays and transition matrices using public marketplace lending data that comprises unsecured consumer loans originated by Marketplace Lenders. Delinquencies on the 2017 vintage in the first 18 months are lower than those on the 2015 and 2016 vintages with lenders having tightened underwriting standards. Cumulative loss rates on the 2017 vintage are lower than those on the 2015 and 2016 vintages. Cumulative losses on the 2015-2017 vintages are outpacing those on earlier vintages. Cumulative prepayments have picked up, with the 2017 vintage paying significantly faster than all prior vintages. Lendio was certified for the third consecutive year as a great workplace by the independent analysts at Great Place to Work. Lendio earned this credential based on extensive ratings provided by its employees in anonymous surveys. A summary of these ratings can be found at http://reviews.greatplacetowork.com/lendio. Research conducted by the Online Mortgage Adviser website has discovered that up to 70% of potential mortgage applicants fail to approach lenders or other service providers because they mistakenly believe that their personal circumstances or financial histories will preclude them from being considered. The study, which was based upon a survey of over 2,000 people nationwide, found that almost 50% of respondents believed that a low credit score, or evidence of previous issues, would automatically disqualify their application. 33% and 15% (respectively) felt that a zero-hour contract or payday loan would prevent them from achieving a mortgage loan. stREITwise, an investment vehicle that makes commercial real estate investments accessible to everyone, is announcing the second annual Invest for a Cause holiday campaign. Through December 31st, their executive team will personally make a donation equal to 2% of any new investment to a non-profit of the investor’s choice. The move is driven in part by a desire to innovate and part survival. It comes as millennials are bypassing branches and traditional banking services for the fintech offerings at an increasing rate. Take Quicken Loans, the Detroit-based lender that operates Rocket Mortgage it’s completely digital platform, for one glaring example. Counterstrike: The market looks like it might rise into the G-20 meeting that begins on Friday, so Jeremy thought this was a good time to pick up a couple names. 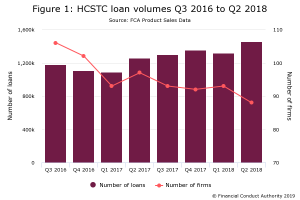 Firstly, the editor added a 6% allocation in online marketplace Lending Tree (TREE), which has been halved from its 2018 highs. But it could be poised for a sharp move higher as a strong quarterly report has exposed its oversold position. Issuing a warning to other lenders, the Federal Trade Commission (FTC) reached a deal with an online lender over charges the company violated the FTC Act by making false statements about student loan refinancing. SS&C Technologies Holdings, Inc. (Nasdaq:SSNC), a global provider of financial services software and software-enabled services, today announced that Velocity Commercial Capital, LLC (‘Velocity’) has successfully gone live on EVOLV, SS&C Primatics’ integrated cloud-based risk and finance platform. Guaranteed Rate, Inc. (“Guaranteed Rate”), one of the largest independent retail mortgage companies in the United States, today announced that it will acquire certain assets of Honolulu HomeLoans (HHL) and Hawaii Lending Alliance (HLA), growing its existing Guaranteed Rate presence in the Hawaii market and adding an experienced team of mortgage professionals. BFS Capital announced today the appointment of Mark Ruddock as Chief Executive Officer, effective immediately. He will also join the company’s Board of Directors. The British Business Bank (BBB) has committed to lend up to £150m to UK small businesses through Funding Circle. The transaction has been made under the bank’s ENABLE Funding programme and is expected to support the growth of over 2,000 UK companies. The new facility will provide senior financing to a transaction with the Funding Circle SME Income Fund Limited, the publicly traded fund that lends exclusively through Funding Circle. ZOPA has sold a batch of defaulted loans to a debt collection agency, which it says will enable a faster and higher recovery for investors. The peer-to-peer consumer lender informed its investors last week about the debt sale. It said that it has received upfront payment for the loans in question and will pass on the proceeds to investors within the next couple of weeks. Almost three quarters of retail consumers in the UK (those with liquid assets between £0 and £3,918) do not pay off their credit card balances in full each month, says GlobalData, a data and analytics company. GlobalData’s Consumer Payments Insight survey, 2018, highlights that UK consumers hold some of the heaviest credit card debt in Europe, totaling an average of £1,144 per person – over 10 times the average credit card debt held by French or German consumers. Yirendai (NYSE:YRD) announced its earnings results on Monday, November 12th. The technology company reported $0.35 earnings per share (EPS) for the quarter, missing the Zacks’ consensus estimate of $0.52 by ($0.17), Briefing.com reports. The company had revenue of $163.20 million for the quarter, compared to the consensus estimate of $179.48 million. Yirendai had a return on equity of 40.40% and a net margin of 18.56%. The company’s revenue was down 28.3% compared to the same quarter last year. During the same period last year, the firm posted $0.74 EPS. Senmiao Technology Limited (NASDAQ: AIHS), an online lending platform in China connecting investors with individual and small-to-medium-sized enterprise borrowers and creditors, today announced that it entered into an Investment and Equity Transfer Agreement (the “Agreement”) to acquire a 60% equity interest in Hunan Ruixi Financial Leasing Co., Ltd. (“Ruixi”), a Chinese licensed financial leasing company focusing on the auto industry with registered capital of $10 million. In exchange for the 60% equity interest in Ruixi from its three existing shareholders, Senmiao has agreed to contribute $6 million in registered capital to Ruixi. The acquisition closed on November 22, 2018. A group of thirty European tech start-ups have warned that the European Union’s “inconsistent and often punitive rules” employee ownership rules are hindering their businesses. The entrepreneurs, which include the founders and chief executives of iZettle, TransferWise and Delivery Hero, stated that laws across the continent make it costly for employers to give out stock options to employees. The warning to EU policymakers, in an open letter, comes as research by venture capitalists Index Ventures finds that employees own only 10 per cent of late-stage start-ups in Europe, because of limitations brought about by regulations. However in the US it is 20 per cent. Online lender October (formerly Lendix) has launched in the Netherlands. Alongside this expansion, the Paris based October is providing SME financing in France, Spain, and Italy. According to a note from October, SMEs may apply for loans ranging from €30,000 and up to €3.5 million. Solactive is pleased to announce the launch of the Solactive Sharing Economy Index. It tracks companies active in the Sharing Economy, and other modern economies such as on-demand and subscription. Formerly being attributed to open-source communities, the umbrella term “Sharing Economy“, nowadays reflects various economic activities such as peer-to-peer sharing of goods and services. When RateSetter started operations in Australia four years ago, the peer-to-peer (P2P) lending industry was in its infancy and its risk-based, investor-funded loan was seen as an alternative. But a lot can happen in four years. Today, major banks such as CommBank, HSBC and Citi use risk-based pricing, once only the domain of P2P lenders, while the formerly “alternative” RateSetter funded over $25 million in consumer loans this month. Foggo said the lender has been “determined” to focus on specific products. One of its new ones is a renewable energy loan which it launched two and a half years ago. Fintech players, especially online lenders in the personal and consumer loans segment, are likely to face slowdown in business following the Supreme Court order that prevents private companies from seeking Aadhaar data for e-KYC and e-signatures. British mobile bank Revolut has obtained licenses to operate in Japan and Singapore as it readies an expansion into Asia. The London-based financial technology firm said Thursday that it had acquired a remittance license from the Monetary Authority of Singapore and full authorization from Japan’s Financial Services Agency. It said Thursday that it intends to launch its platform in the Asia-Pacific (APAC) region in the first quarter of 2019, and is looking to select Singapore to host its APAC headquarters. According to the latest survey by Google and Singapore’s Temasek Holdings, Indonesia’s digital economy is projected to triple to US$100 billion by 2025 from $27 billion this year, given the mushrooming of the country’s online marketplaces. The projection is not an exaggeration as indicated by the huge transaction values at a recent online shopping festival, dubbed a warm-up for the National Online Shopping Day in mid-December. Indonesia’s online marketplace unicorn Bukalapak is planning to cast a wider net in the country’s booming fintech market. The company is looking at launching new investment products and enter new verticles such as P2P lending and remittances, co-founder and president Muhamad Fajrin Rasyid told this portal.